Accidents happen to even the most careful yacht and boat owners, which is why proper boat and yacht insurance coverage is essential. National Marine Underwriters (NMU) can help provide protection specifically designed for your unique boat and yacht insurance needs. 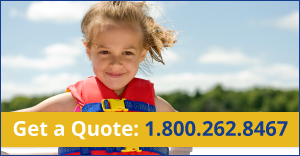 Our goal is to make insuring your boat as easy as possible—so you and your family can spend your free time on the water, not worrying about insurance paperwork.